My name is Jessie. I’m 28 years old and I live at home but one day I hope to reach the milestone of eventually moving out. I was diagnosed with Spastic Quadriplegic Cerebral Palsy right at birth which affects my arms and legs, my hand coordination, my learning, and my speech. I use many methods of communication; however my main method is my iPad. Having Cerebral Palsy is something I have learned to deal with. 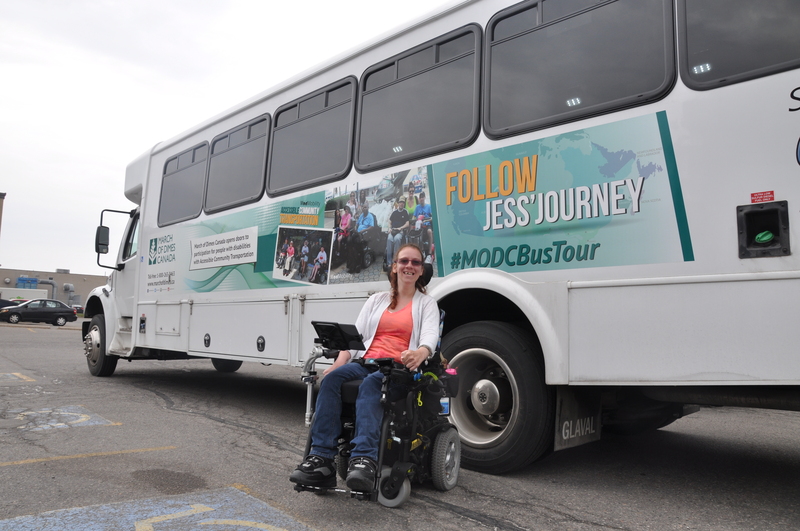 Jess alongside the MODMobility at the #MODCBusTour Launch in Toronto. Since graduating from school, I’ve had a tough time transitioning from being a student and being involved in camps and programs to becoming an adult and seeing my active life shutting down before my eyes. As a child, I attended summer camp every year and during the school year I participated in social groups and played wheelchair hockey on the weekends. I was hardly ever home! As an adult who requires support in every activity of daily living, I began staying home a lot and was only able to go out when my mom was available. Suddenly, I felt stuck, relying on my mom for recreational and enjoyment activities. We did much research in finding an appropriate program for me, however I never met the requirements. I was either too mobile in my wheelchair, or I needed too much personal support, or did not meet the behavioural requirements. Other programs did not provide any support, leaving it up to me to hire a support person. Since joining the March of Dimes Canada’s LIFE Toronto program I’ve become happier, more active and I started to have meaning in my life again. I was very fortunate that I was asked to be a mentor for the next two sessions I attended. As a mentor, I set a positive role model to the other participants. I encourage them to try new things and be amazing individuals. I also help participants new to the program feel comfortable and at ease in this new environment. LIFE Toronto is an amazing program which combines fun and learning experiences. My favourite parts of the programs would have to be the social outings, Conductive Education and life skill development workshops, especially now that I have had a hand in facilitating them. I developed a workshop on stress management and coping that I facilitated to the rest of the group. The participants really enjoyed it and it was very impactful coming from me, one of their peers in the program. Thinking back to these parts, all of them have contributed to my personal growth during my time with the LIFE program. The Outward Bound and Variety Village programming showed me that anything is possible if I put my mind to it. During the day camp out activity, we worked as a team to put up a tent without staff’s assistance for the first time and I also reached the milestone of swinging on a regular swing. Conductive Education is a community rehabilitation program that we participate in once a week with the LIFE program. I have seen some amazing changes in my physical ability since starting conductive education in 2013. I can now transfer on my own, using the walking ladder from my chair to stand and sit on the plinth totally independently. I’m getting better at lying down by myself and positioning myself in a straight lying position. I also worked on walking with various ladders to hold on my sides. This helps me transfer my weight onto one leg as I grab the next ladder with my other hand. I’ve really come a long way since I’ve first started Conductive Education at the end of March 2013 and I look forward to seeing what I accomplish next. Taking part in the LIFE Toronto program has created meaningful changes for me and I’m excited about the possibilities the expansion of the Mod Mobility program has in store. The new bus is about to kick off it tour – watch out for it at events in your community! 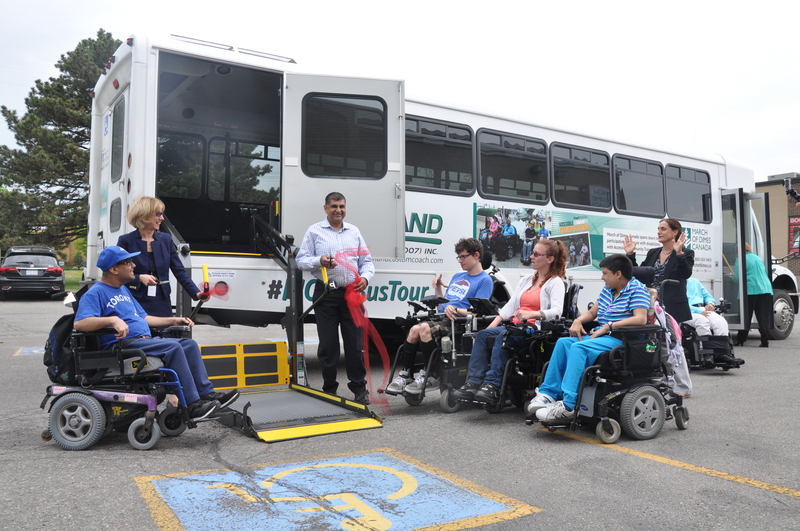 Jess, LIFE Toronto Program participants, Keith Rashid and March of Dimes Canada President and CEO Andria Spindel take part in the ribbon-cutting ceremony for the #MODCBusTour. To Learn more about the Bus tour click here. Be sure to Follow #MODCBusTour on Twitter, Facebook and Instagram. I am a caregiver – now, today and forever. 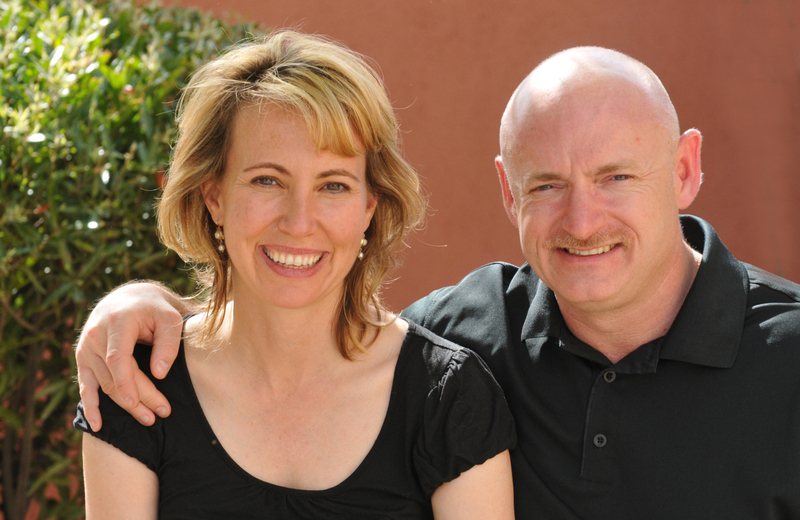 On Thursday, June 4, 2015 guests at the Ability & Beyond Dinner presented by Bell will be inspired by Captain Mark Kelly’s “Endeavour to Succeed” keynote address. Captain Mark Kelly is an American astronaut, who flew missions aboard the Space Shuttle Endeavour, the Space Shuttle Discovery, and is one of only two individuals who has visited the International Space Station on four different occasions. He is also a retired US Navy Captain, bestselling author, prostate cancer survivor, and an experienced naval aviator. Named one of Esquire’s 2011 Americans of the Year, Kelly exemplifies leadership, the importance of teamwork, and courage under pressure. Captain Kelly will speak about his incredible life and his personal experience caregiving for his wife, former US Congresswoman Gabrielle Giffords, during her recovery from a traumatic brain injury, the result of an assassination attempt in 2011. Captain Kelly will share stories designed to inspire and help people find their purpose. He says he has learned valuable lessons from his experiences flying in combat, his space missions and more personally, when his wife was shot and his world changed forever. He became Ms. Gifford’s primary caregiver during her recovery from her brain injury, which also resulted in aphasia. He continues this role today, and cherishes it. He will speak of his life as a caregiver, and how living with aphasia affects the whole family. Approximately 1/3 of brain injury survivors will have aphasia. The condition causes communication challenges, but is not a sign of reduced intelligence. Understanding aphasia is crucial to helping improve communication not only for brain injury survivors, but also their caregivers, loved ones and families. March of Dimes Canada provides services for people with aphasia through a number of programs, camps and support groups. All of these are crucial to helping alleviate the isolation and depression that can occur when first learning to live with the condition. Captain Kelly is thrilled to be sharing his life lessons with guests at a fundraiser supporting March of Dimes Canada’s Aphasia and Communication Disability Program (ACDP). His wife lives with the condition, and weekly visits an aphasia communication group, similar to those offered by the program.